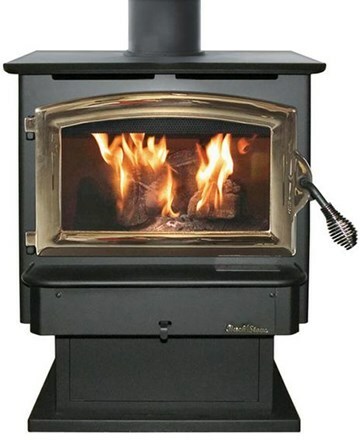 This Buck 21 freestanding stove comes with a built-in "ash-pan pedestal" for easy clean-up. Its 1.6 cu. ft. firebox can easily heat homes up to 1400 square feet in our area. The large flat top is great for cooking, and self-cleaning ceramic glass offers crystal clear fire viewing.